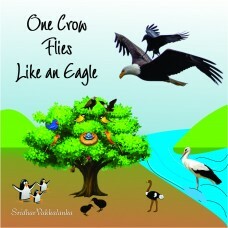 “One Crow Flies Like An Eagle” is the story of an unfortunate baby crow. A cuckoo laid an egg inside his nest when his parents were gone. 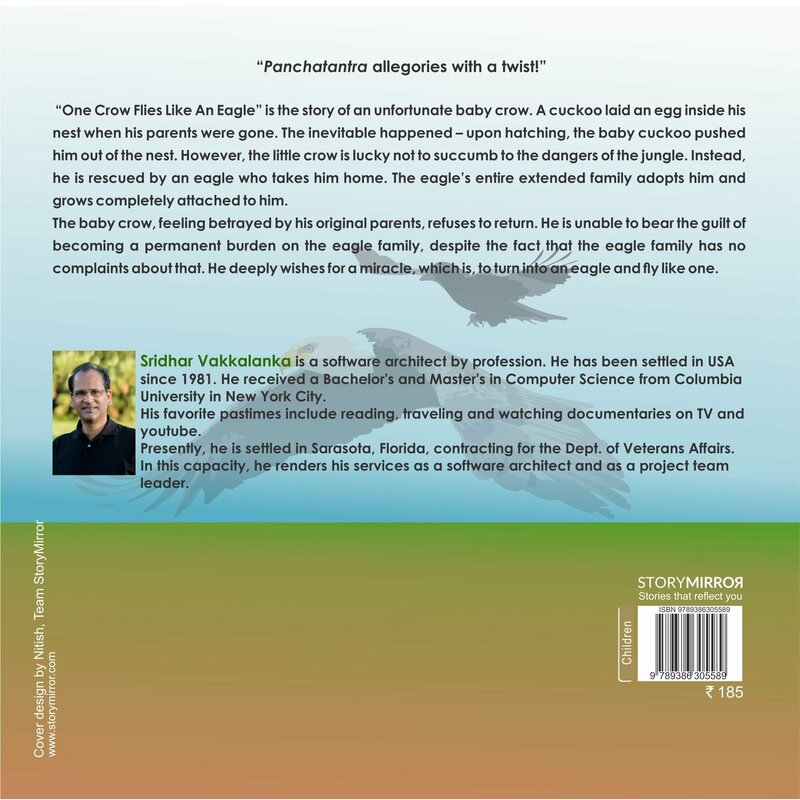 The inevitable happened – upon hatching, the baby cuckoo pushed him out of the nest. However, the little crow is lucky not to succumb to the dangers of the jungle. Instead, he is rescued by an eagle who takes him home. The eagle’s entire extended family adopts him and grows completely attached to him. The baby crow, feeling betrayed by his original parents, refuses to return. He is unable to bear the guilt of becoming a permanent burden on the eagle family, despite the fact that the eagle family has no complaints about that. He deeply wishes for a miracle, which is, to turn into an eagle and fly like one. Sridhar Vakkalanka is a software architect by profession. He has been settled in USA since 1981. He received a Bachelor's and Master's in Computer Science from Columbia University, New York. After college, he worked for several Fortune 500 companies. These companies include AT&T, IBM, Apple, Motorola, Merrill Lynch and others. Outside the software industry, he is very serious about aviation. He holds a Master’s in Aeronautical Engineering & has deeply researched the field of Computational Fluid Dynamics. He is also a licensed glider pilot & has flown several different makes and models of both pure gliders & motorgliders. Presently, he is settled in Florida, contracting for the Dept. of Veterans Affairs. In this capacity, he renders his services as a software architect & as a project team leader. His other favorite pastimes include reading, traveling & watching documentaries on TV and youtube. Presently, his most serious engagement outside working hours is to follow the technical aspects of web-based applications owing to the rapid pace with which, web-based technologies are transitioning.